I was reshuffling my friends' list couple of days back on Facebook and it came to me as a shocker finding out that some of my school friends and colleagues who I thought I was very close to, who regularly visit my albums and leave comments on them have their own albums restricted for me, the reasons beyond my knowledge. One of my colleagues was so close to me that she even slept over at my place when she was in problem, whenever there was any late night party from office, I always having made sure to drop her to her home. In fact upon my leaving the job, I kept in regular touch with her and went out with her on occasions like Durga Puja and day long road trips. It just hurts when people you care for don't reciprocate the same way and in her case, her keeping 30+ albums hidden from my view only betrayed her true feelings for me, feeling of distrust. One of my close friends very rightly commented "sab matlab ke liye f'ship karte hain.Just give as much as you get and don't feel disheartened." Without much delay, I put that colleague of mine to the restricted list of friends. If she doesn't care, why should I!! 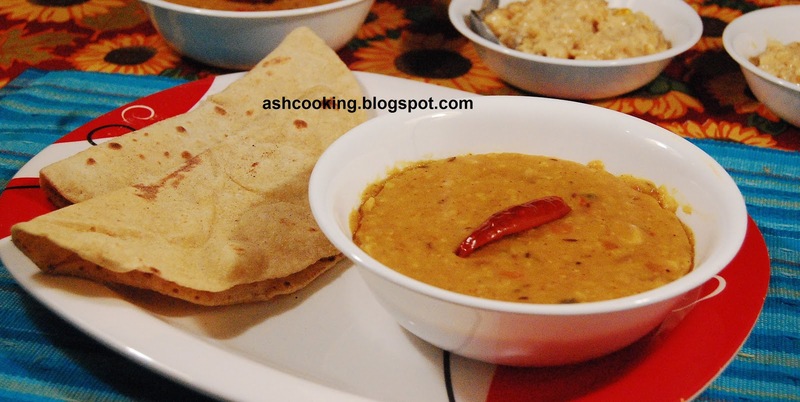 As the name suggests, Lasooni Dal is a lentil concoction with a good quantity of garlics chopped, shallow fried and added into the dal lending it a garlicky flavour. Lasooni Dal is cooked in different many ways in different regions of India, but the most popular version is the one cooked in north. I love to have it paired with chapati. It tastes awesome. 1) Wash the dals together under running water several times, put them in a pressure cooker covered in 6 cups of water, and add turmeric powder, salt and 2 green chillies. Pressure-cook for one whistle. 2) Heat oil in a wok. Add the ingredients for sauté when oil turns hot and allow them to sputter. 3) Add garlic and fry till garlic turns golden brown in color. Add onion, tomatoes and fry till onion changes color and tomatoes soften. Add dry red chilli powder, chopped green chillies and salt. 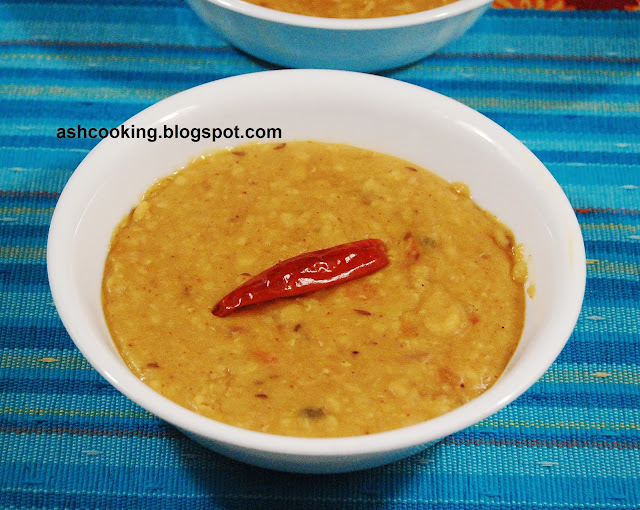 Pour the cooked dal in. Stir in to mix. Simmer away for 2 minutes. 4) Add garam masala powder and ghee.